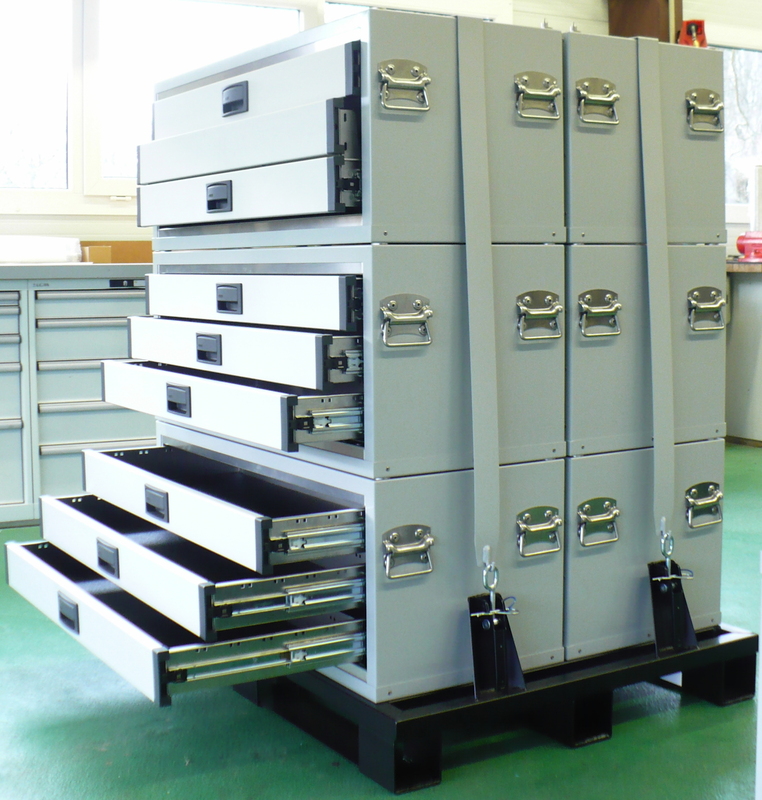 Custom production – tool storage systems that fits! 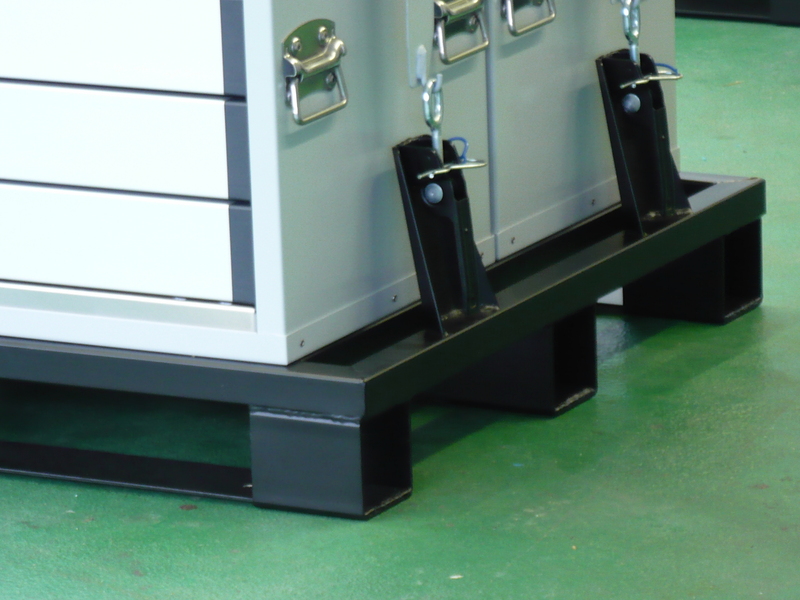 Introducing custom production of tool storage systems that are tailored to fit into any size and type of vehicle or indoor operation. 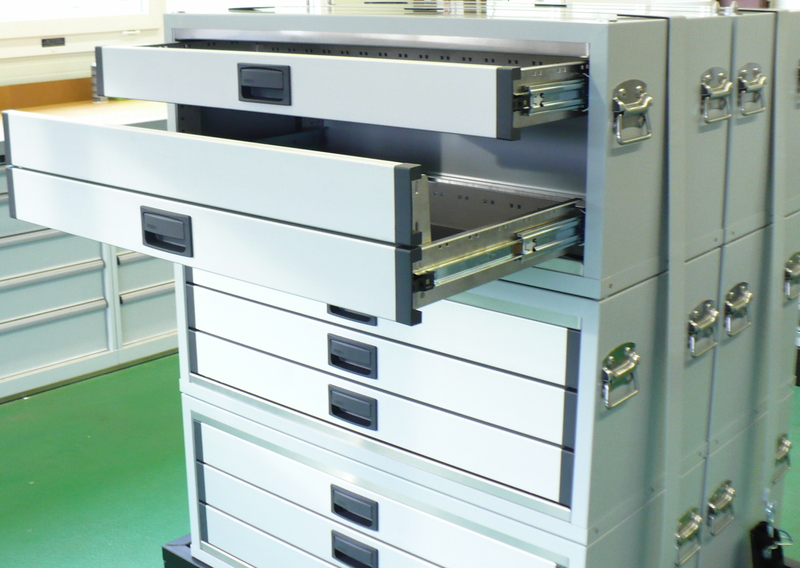 Drawers with 100% pullout are produced from aluminium, steel or combination of both materials. Dimensions, i.e. 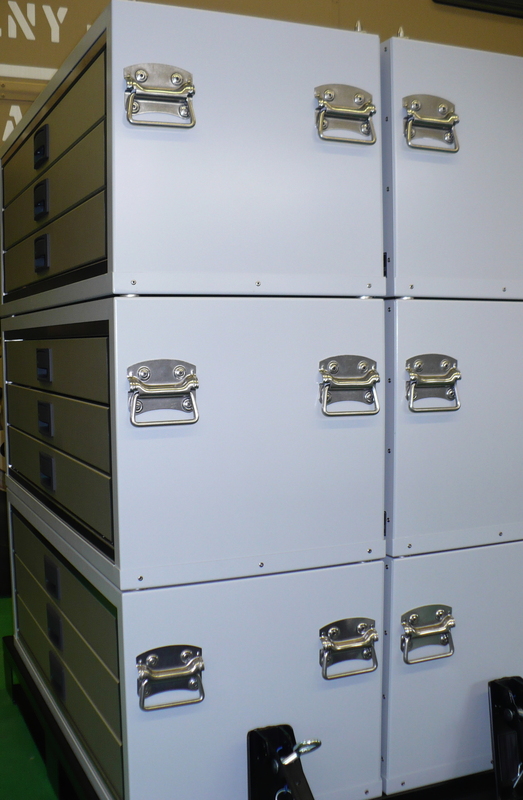 hight, width and lenght as well as arrangement of individual drawers unfolds acoording to specification and customer needs. 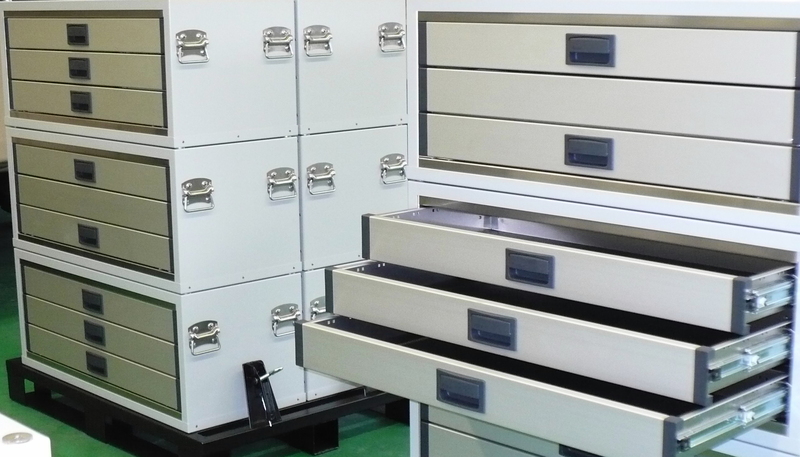 Custom-made tool storage cases are ideal solution for customers from the mining or military sector but also for motorsports and hunting enthusiasts. 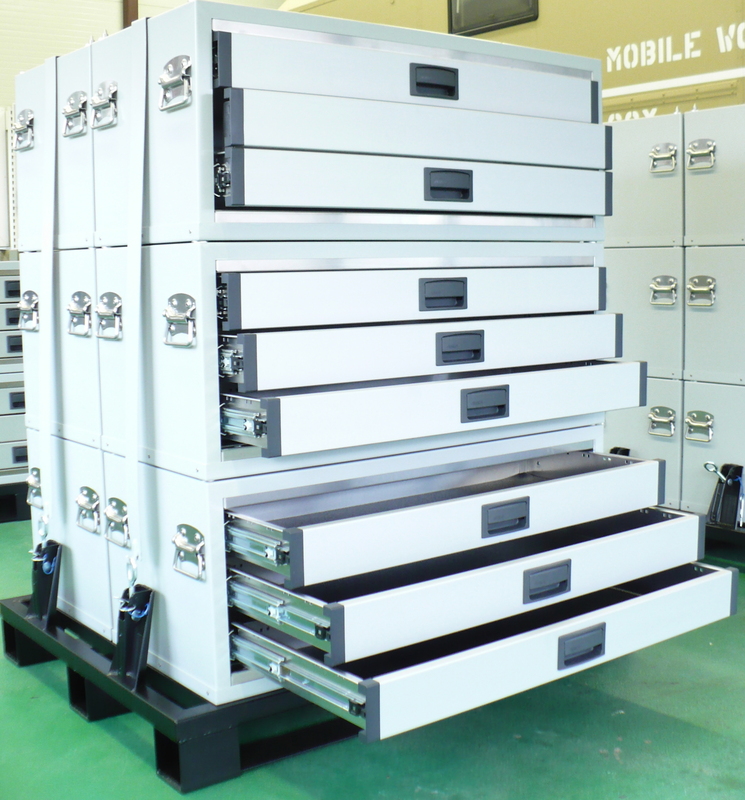 The inner space of the individual drawers can be completed with foam modules so that transported tools and accessories are safely stored and protected against any damage. 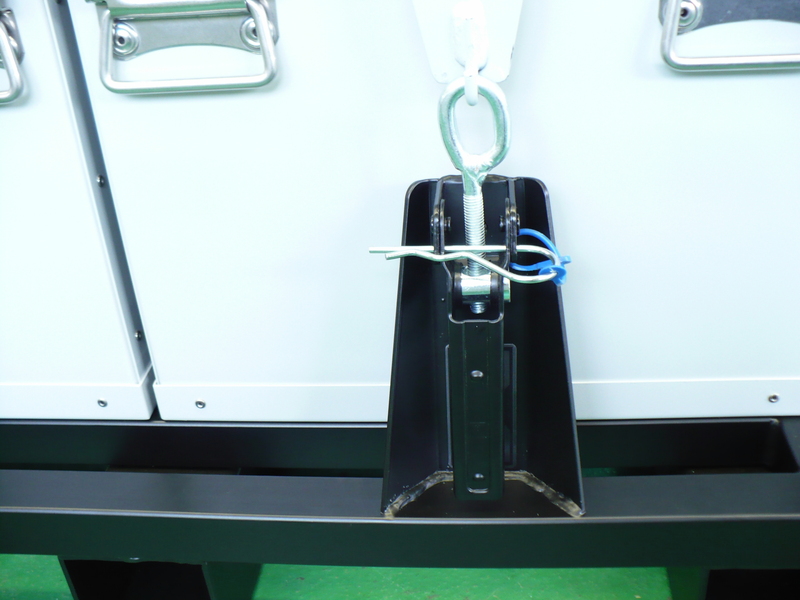 Our latest delivery included custom-made pallets where the boxes were securely fastened and delivered to customer.